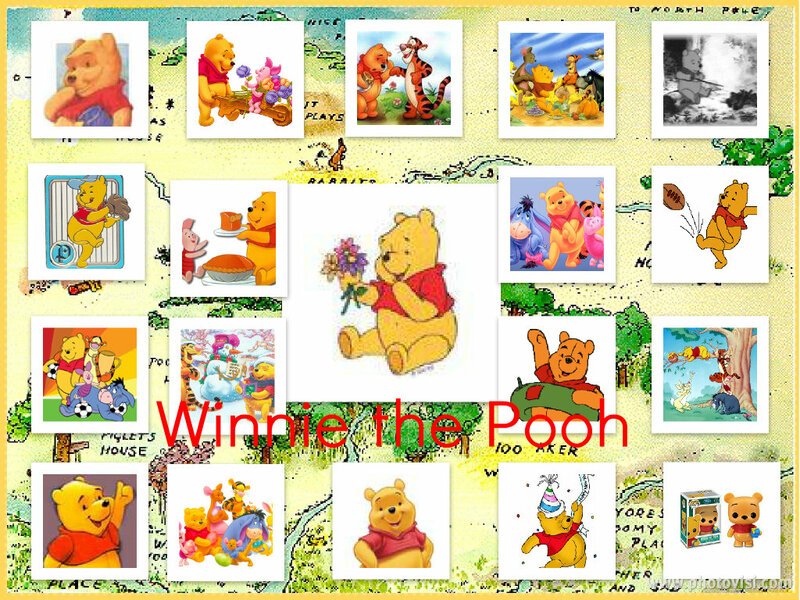 Winnie the Pooh Collage. . HD Wallpaper and background images in the Winnie the Pooh club tagged: winnie the pooh hunny character disney. 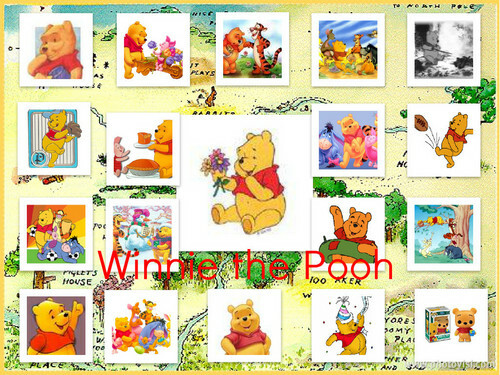 This Winnie the Pooh fan art contains ڈیم, باند, ڈائک, نالہ, and دیکی. There might also be اخبار, کاغذ, میگزین, رومال, بڑی, لھیر, ڈاؤن لوڈ ہونے والے, مزاحیہ کتاب, منگا, کارٹون, ہالی ووڈ, and کامک بُک.